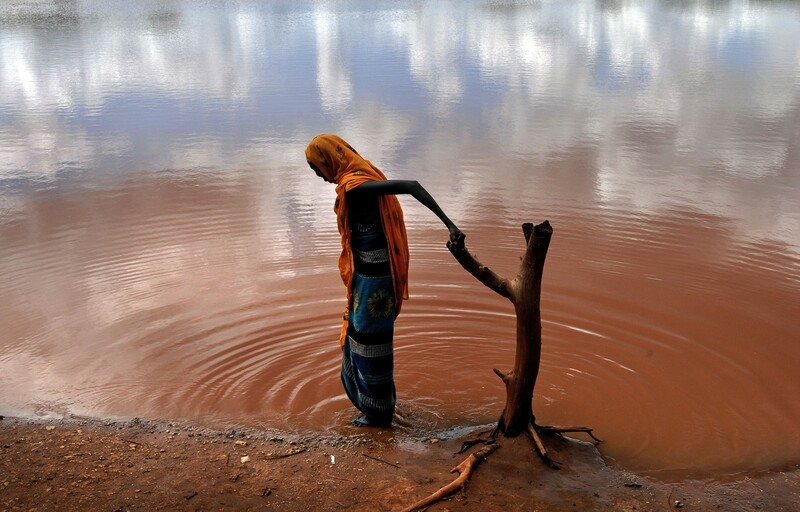 Villagers fetch water from a polluted hole in the village of Dambas, 80 kilometers outside of Wajir, in northern Kenya. Worldwide, women and girls spend 200 million hours every day collecting water reports UNICEF. This is time that could be dedicated to studies, work, family or entrepreneurship. Already, climate change is making water more scarce with more severe droughts and salt water intrusion. This makes the work of collecting water more time consuming and difficult.